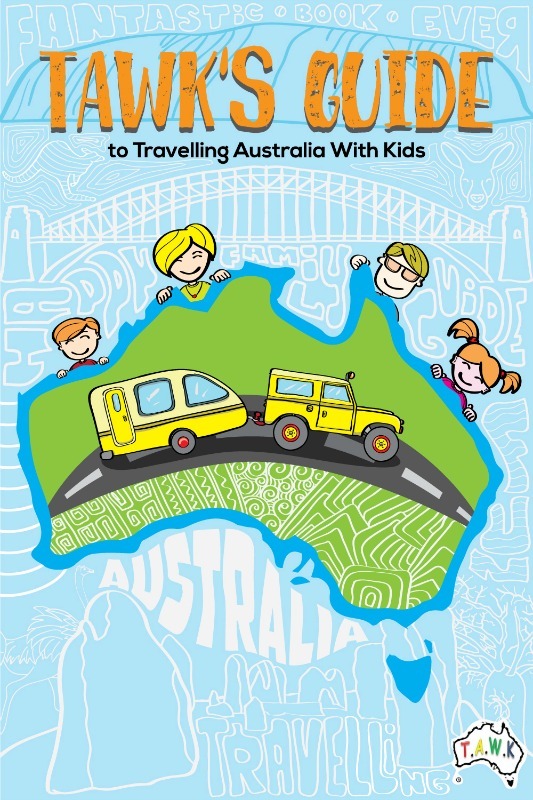 TAWK's Guide to Travelling Australia With Kids - YOU asked for it, WE made it happen! Finally all the information you need in one place! We are so excited to bring this e-book that we have been working on for a while now. Easy to read format with handy links to help you get started on your trip. You can get the eBook or a hard copy booklet (it was originally created just as an ebook but lots of you asked for a hard copy - so we took note). Many of you like to have something solid to hold onto and read and make notes on or 'red pen' certain parts and others prefer a digital copy. WE have both options! Grab a copy and save yourself hours of sifting through the internet trying to find the information you need. We have it all here for you, to help you get organised, to get planning and to bring your dream closer! WHY an eBook? One of the reasons that we have this option is because of all the links that are also in the book - ie to other handy websites - for jobs on the road - education etc. You can read it on your Computer, iPad, Android tablet or Smartphone as long as you have an eReader (you can easily get an app if your device does not have one installed) and click through to the other handy websites. 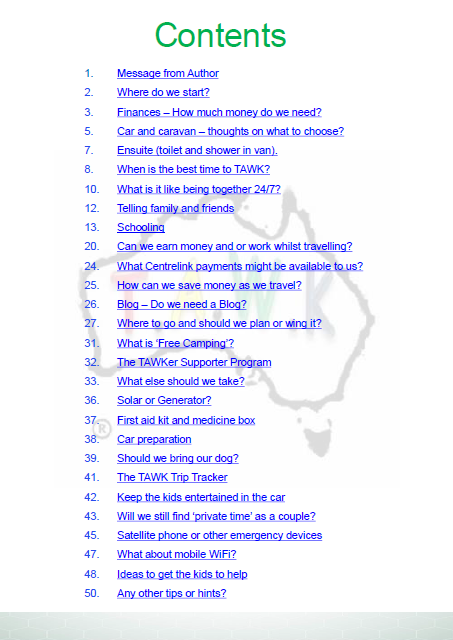 TAWK's Guide to Travelling Australia With Kids will help answer your questions and the best bit is; they are not just our answers, they are from other TAWKers too! Who better to help you? They are already out there TAWKing and know what it’s really like to be on the road every day with their children. The real stuff, not just from a book…...although!? How do we school our kids? 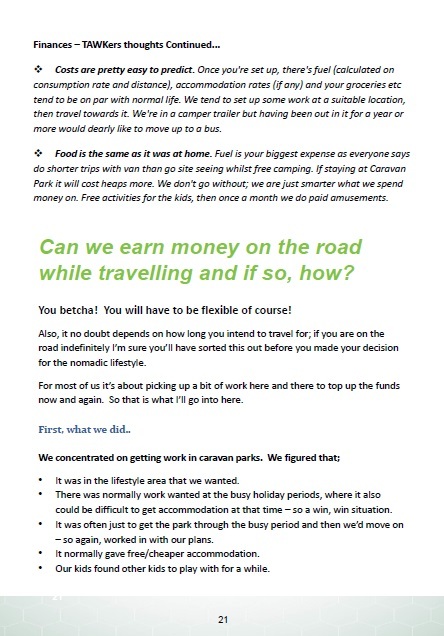 How do we earn money whilst travelling? Finances, how much do we need? Should we take our dog? What set up should we consider? Do we need a washing machine? What are you money saving tips? What's it like being together 24/7? And that's just a few of them! 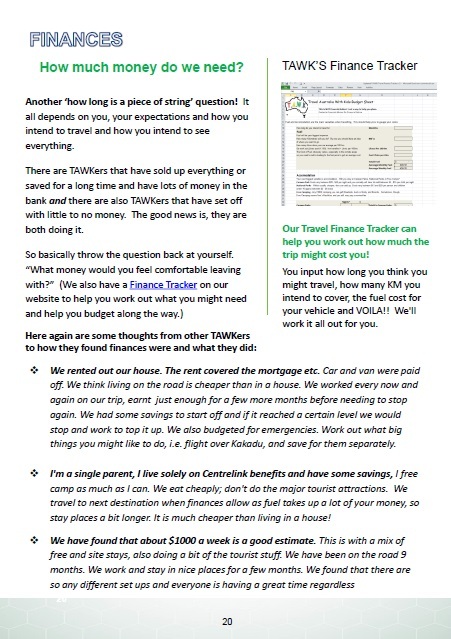 TAWK’s aim is to encourage other families to travel the country with their children. To reassure you that you can do it! I’ve kept the book simple and to the point, so it’s easy to read and you don’t have to sift through lots of text to find the information you are after. YOU have already started! You are here. You are Planning! 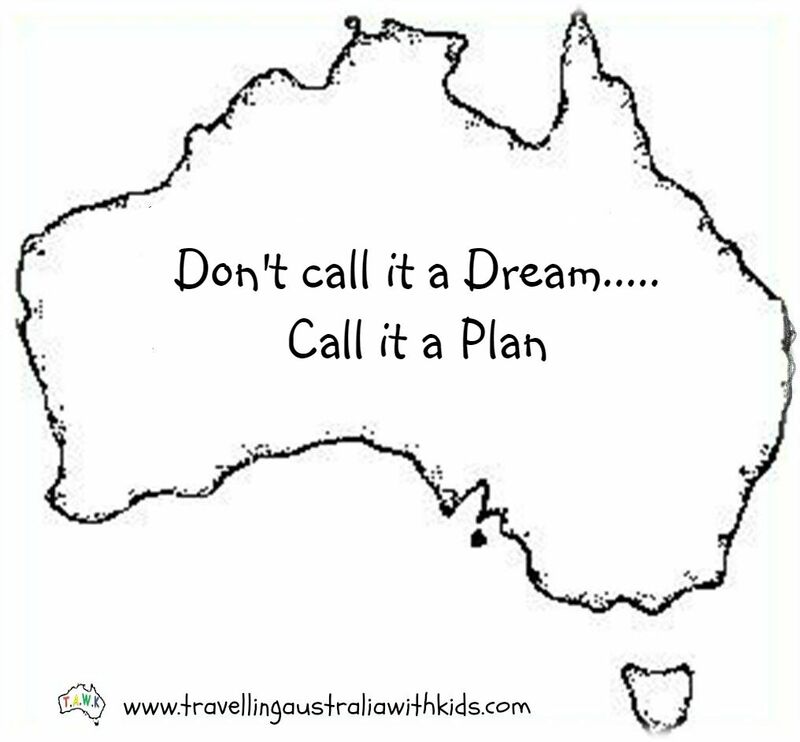 You are finding out all the information you need to Travel Australia With Kids (TAWK). You will soon be TAWKers! In the Book, we endeavour to go through all your questions that you are thinking, because we were thinking them too! I’ve thrown in some of our most Frequently Asked Questions, as let’s face it that’s what everyone is asking! So grab your copy now and make this dream happen. Grab a copy, get started, get excited and get going! !